Created by the 80th Texas Legislature in recognition of the importance that the ecological soundness of our riverine, bay, and estuary systems and riparian lands has on the economy, health, and well-being of our state. See the revised timeline for the schedule for development of recommendations regarding environmental flow regimes and the adoption of environmental flow standards, adopted at the Environmental Flows Advisory Group hearing on Thursday, May 27, 2010. 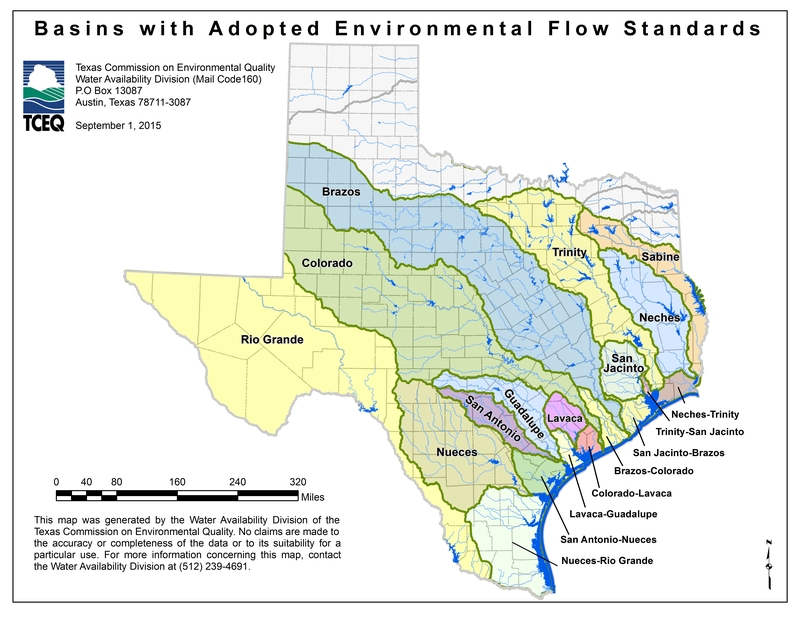 The 80th Texas Legislature created the Environmental Flows Advisory Group (Texas Water Code, Section 11.0236) . The Environmental Flows Advisory Group will conduct public hearings and study public policy implications for balancing the demands on the water resources of the state resulting from a growing population and the requirements of the riverine, bay, and estuary systems. In the course of their study, this Advisory Group will look at items including granting permits for instream flows dedicated to environmental needs or bay and estuary inflows, use of the Texas Water Trust, and any other issues that the advisory group determines have importance and relevance to the protection of environmental flows. Questions about the Advisory Group? For more information on the stakeholder committee or expert science team, please contact the Water Availability Division at (512) 239-4691, or e-mail us at wras@tceq.texas.gov. To be notified when we add new information to our Environmental Flows Web pages, please sign up for E-Flows program updates.